Posted by Jonny Greenwood on 11/22/2018 4:35:57 PM. AZW3 is the format of Kindle eBooks purchased from Amazon Store. 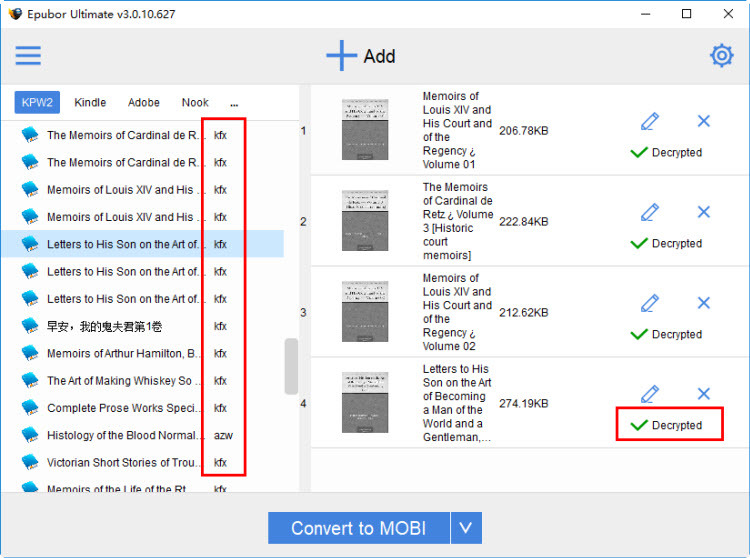 Usually, if a Kindle user plug his Kindle(firmware is not higher than 5.6.x.x) to computer to check the files, most of the purchased eBooks will be saved in AZW3 format. But if you directly copy and paste those AZW3 file to your computer and want to share them with others or convert to EPUB/PDF, you are not able to do this because these AZW3 files are still protected by Kindle DRM. This article aims at introducing you the correct way to remove DRM from AZW3 files. (Note: This guide is only for AZW3 files exported from Kindle e-Readers or downloaded directly from the Amazon website for the Kindle e-Ink device). For remove Kindle DRM from PC/Mac client, Kindle device, and Kindle Android App, please read this article published already on our website: Kindle DRM Removal, Easily Remove Kindle DRM AZW. To remove AZW3 files DRM, you only need one program: the Kindle DRM Removal. There is no Kindle desktop application installation requirement. Click the buttons below to directly download the tool then install it. If you are using Kindle e-ink device to download the Kindle books, you may get azw3 format books or Kindle KFX books. How can you expect your Kindle ebook format before downloading it? Here is the answer: if the firmware of the Kindle e-ink device is higher than 5.6, when you download the Kindle books, the books will be in Kindle KFX format. Otherwise, you can get the Kindle azw3 format. As you know that if you download the Kindle books via Kindle for PC/MAC, or device, there is a great possibility that the downloaded books will be in Kindle KFX format which is not supported by many popular readers even with the DRM removed. That's why we choose to download the Kindle book as AZW3 format. 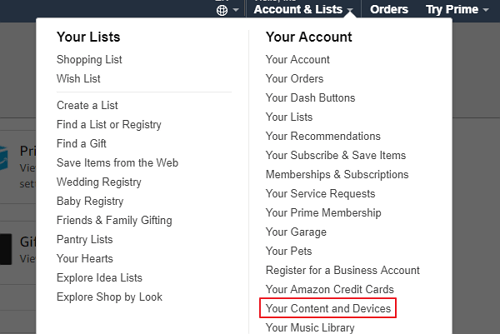 Log in your Amazon account and click on "Your Content and Devices" to go to the page of "Manage the Kindle device and content". Then you will see all your books will show under the "Content" tab in the "Manage the Kindle device and content" page. Click on "Action" button of each book and it will display all allowed actions as the below picture. Then click on "Download & transfer via USB" and it will pop up a new window to ask you to select a Kindle device. Please note that you can only select the Kindle e-ink device, not including Kindle fire. Then click on "Download" button to download the book. When your book has been downloaded, it will be in AZW3 format. Our program will detect your connected Kindle, then you will see your Kindle displayed in the leftside column with Kindle's model name. And all the books saved in your Kindle are listed below. Now more and more Kindle books we bought from Amazon are not azw3 format but KFX, don't worry epubor ultimate also supports this format perfectly. Then these books will be automatically decrypted with the KSN we find on your Kindle. And all the decrypted books will save in computer's hard drive. No harm to Kindle device or the books saved in Kindle. If you download the Kindle books directly from the Amazon website, when you plug the corresponding Kindle device, the Epubor software will also detect the Kindle Serial No. and then just need to drag the AZW3 books to your main interface of Epubor software. The DRM will removed from AZW3 file automatically. If you do not have the corresponding Kindle device at hand, does this mean you can not remove the DRM from these AZW3 files? The answer is no. You just need to find the Kindle Serial No. and put it in Epubor Ultimate to decrypt your AZW3 file. You can follow the below steps to remve DRM from AZW3 file. Open web browser and visit Amazon official site then login, navigate to "Manage Your Kindle" page. Look at the left column and find "Manage Your Devices", click it you will see all your registered Kindle devices and apps in the main part of the web page. Choose the correct device which you export the AZW3 files from then you can get the details below, including device type and serial number. This is what we need. Run Epubor Ultimate, click on the gear icon at the top right corner and the user settings window will pop up. 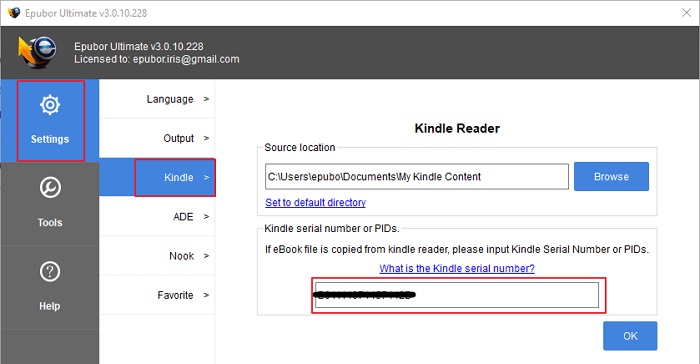 Click on Setttings-->>Kindle-->> fill in your Kindle Serial Number found in step 1 and then click on "OK". Then drag and drop downloaded AZW3 file to Epubor Ultimate. The DRM will be stripped automatically. Now all your DRM AZW3 files are decrypted successfully, you can share them with your friends, print them, or convert to other formats as you want. If have any problem in removing DRM from AZW3 files, feel free to open a ticket at http://ticket.epubor.com, our technical service staff will help you for free. Congratulations! 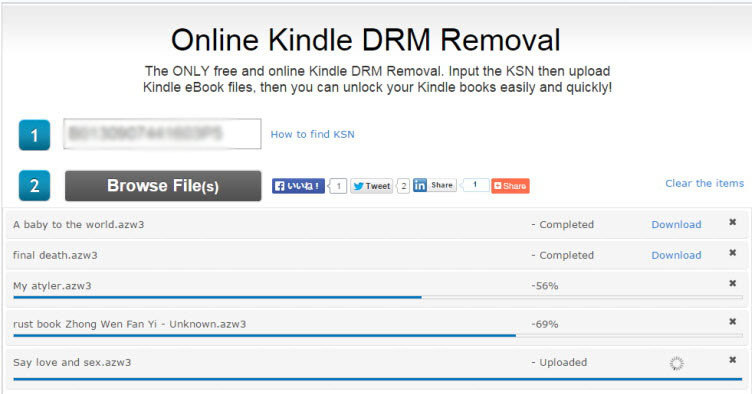 From now on you can remove drm from your Kindle AZW3 books online. It's free! But this demands you had an e-ink Kindle device already, becuase its job is based on your Kindle KSN. As what this image shows above, it's very	easy to use,	and no ads. For more details please visit this site online Kindle drm removal. Worked great! Too bad it's only a free trial. Worked much, helped me much, tks.